$150.00 for The Good Shepherd Foodbank from playing ‘Quilto’, our version of bingo! The first photo is Senora Baldry, Community Outreach with Sheila Cormier, MSP and Kim Woodland, MHH. The second shows some of the 67 quilts on display for our presentations. The latest in our donated quilts. 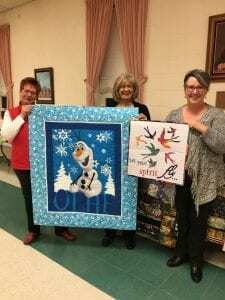 Since 2008 Quilting Corners Guild has created and donated almost 700 Quilts of Comfort locally. We wish our members and community partners a safe and happy holiday. What an amazing amount of work from the generous ladies of the guild. 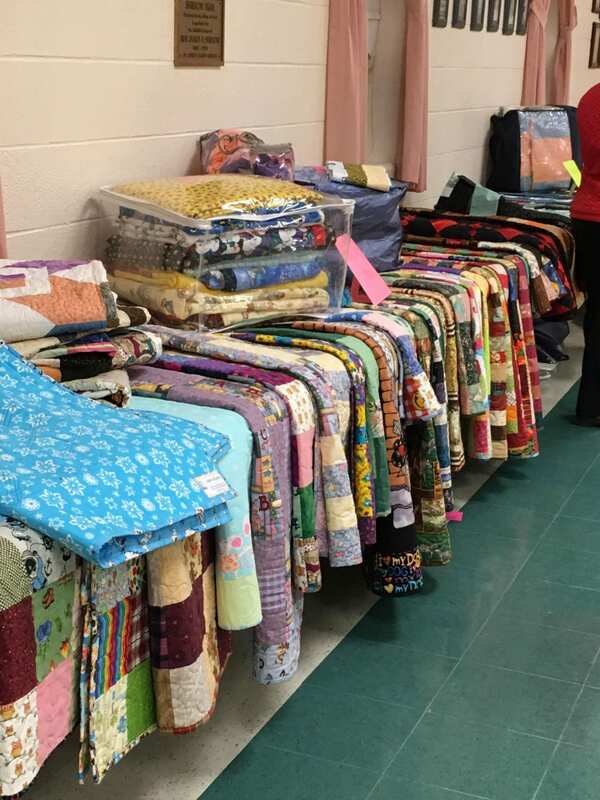 A big thank you to all that help make these quilts and a special thank you to Senora for coordinating all of it. Many thanks! !